It doesn't matter if you call it xAPI, Experience API, or Tin Can API - It's all the same thing. Why so many names? I have no idea. But, I do know that TOPYX learning management system (LMS) software is recognized for implementing the Tin Can API functionality as a part of the low, flat fee (no user or data fee) pricing structure for all of the award-winning features TOPYX offers. Rustici Software keeps a running list of software solutions that have integrated Tin Can API into their offering. Each entry is reviewed to validate that the claims are true and the correct functionality is present. Tin Can API was developed by Advanced Distributed Learning (ADL) Initiative as a successor to Shareable Content Object Reference Model (SCORM®) certification to advance the usability of data relating to learners’ experiences across platforms and applications. Requirements for Tin Can API were driven by the eLearning community’s desire to make eLearning content shareable between different LMSs, organizations, and content creators. 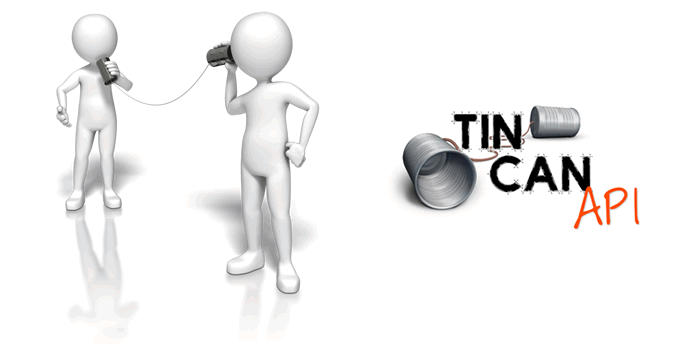 Here is a detailed write-up on the genesis of Tin Can API - and a partial explanation on the why it is known by so many names. As online learning systems and digital content becomes even more popular, you will need a system in place that will help you share and utilize content better for your users. Content becomes more useful and learning programs become more efficient. You can create a learning program that captures, reports, and shares unique user records between compatible systems, increasing data interchangeability and, ultimately, a better learning experience for your learners. Sharing information between systems can save valuable time and effort that can be spent on more important parts of your training efforts. If you are looking to modernize your training and development program, TOPYX LMS has the Tin Can API features you need as part of a robust online learning solution. Request a demo to learn more about TOPYX LMS and how Tin Can API can help you reach your online training goals. And, it doesn't matter what you call it!